Joe Mulherin is a product of the digital era. Coming of age in Vermont, his interest in music and film making was spurred on by his natural aptitude with technology. Able to use these devices as a means of expression, he uploaded some music - raw, without limits - to SoundCloud as 'the nothing, nowhere'. Somehow, it found an audience. Ratcheting up incredible streaming numbers, his self-educated mixture of digital production and introverted bars made for riveting listening. 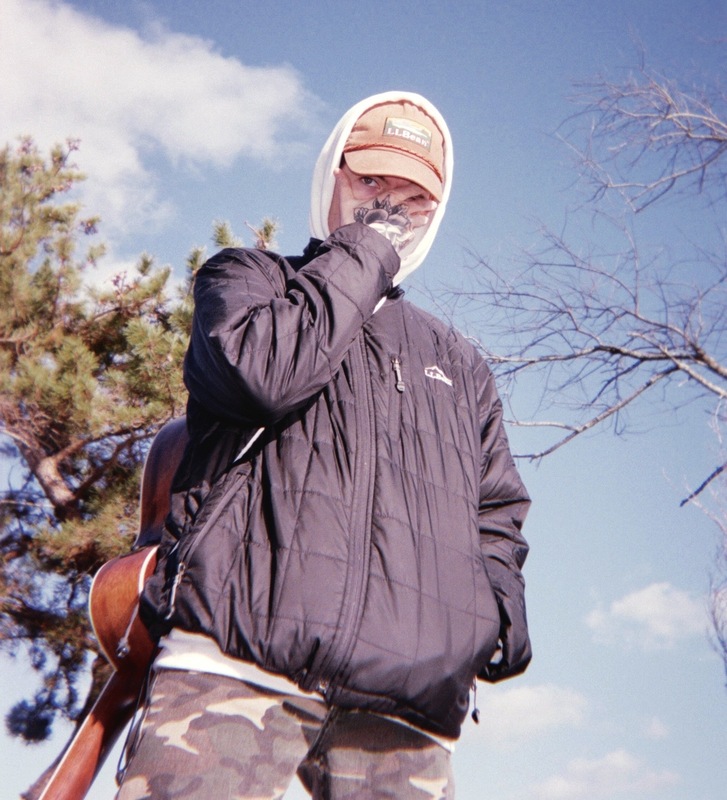 Taking nothing,nowhere as his name, the rapper set out across the globe, connecting with an international fanbase. Every time we hit Austin, Texas on tour we hit Barton Springs. It’s basically a natural swimming pool and it’s freezing cold. when you’re in a van with a bunch of dudes and then hit that water it feels like you’re reborn. I got food poisoning the night before we played a show in Atlanta. I just remember throwing up at night and sweating through the whole show the next day. it sucked but we made it through. We got to play Brixton Academy in London while opening for Good Charlotte last year. It was nice to be able to play such an iconic venue. Russia I think? I’ve seen lots of fan websites and heard from a lot of Russians so I need to get over there at some point for sure. Baohaus in NYC for sure is the best. Their tofu bao is fire. And then I don’t know if it’s exotic but I’ve always hated seafood but I’ve been vegan for seven years. For some reason I decided to try 'vegan' fish and I still have nightmares about it. There’s a guy named Papa Smurf in Detroit who always gives us these pins that he makes. Shout out Papa Smurf. I blew my vocal chords out and had to cancel most of a tour. So yeah, that sucked. Socks. A good pair of clean socks there’s nothing like it. For tickets to the latest nothing, nowhere shows click HERE.